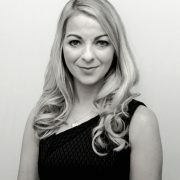 Having graduated from the University of Ulster in 2011 with a degree in Law with Economics, I then continued my studies with a Masters in Management and Corporate Governance before attending the Institute of Professional Legal Studies to undertake my professional qualifications to qualify as a solicitor. I have been with MKB Law for five years and since qualifying as a solicitor I have chosen to specialise exclusively in the practise area of family law alongside Director, Anne Marie Kelly. My particular interests lie in children’s order and matrimonial law, and I represent clients in private and public law proceedings, wardship, child abduction and Hague Convention matters. I provide advice in relation to matters that occur as the result of a relationship or marriage breakdown which includes: separation and divorce proceedings, contact and residence matters, domestic violence, financial settlements, child and spousal maintenance. Outside of work, I would like to say I enjoy going to the gym and healthy eating, but really I love watching the soaps and having a get together with friends for a Nando’s!